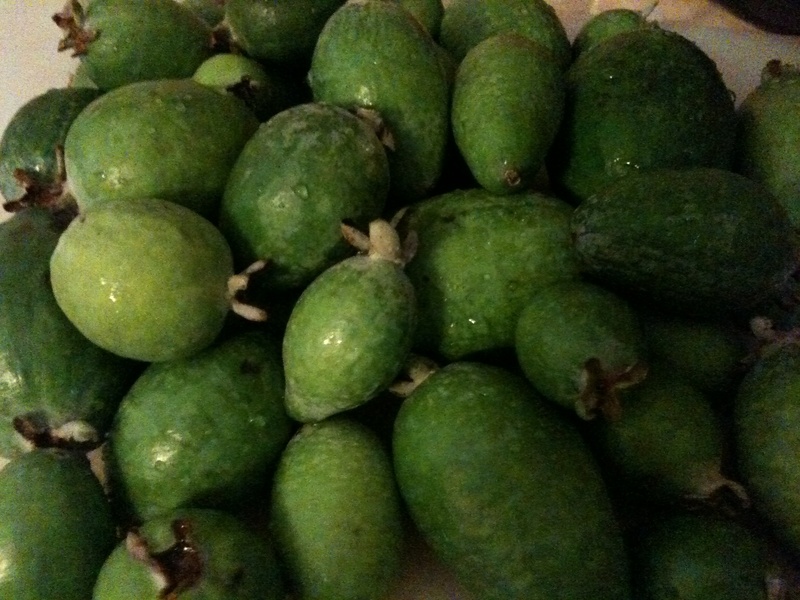 A few weeks ago, I had never even heard of a feijoa, but lately I have seen them all over the place. A few people I know have the trees in their yards, and they have been showing up in farmer’s markets all over town. It’s delicious to just take a bite as it is, but it also makes a lovely jam. For every 2 lbs of fruit (before scooping), add two lemons and four cups of white sugar. You can adjust this recipe depending on how much fruit you have; the fruits vary quite a bit in size. 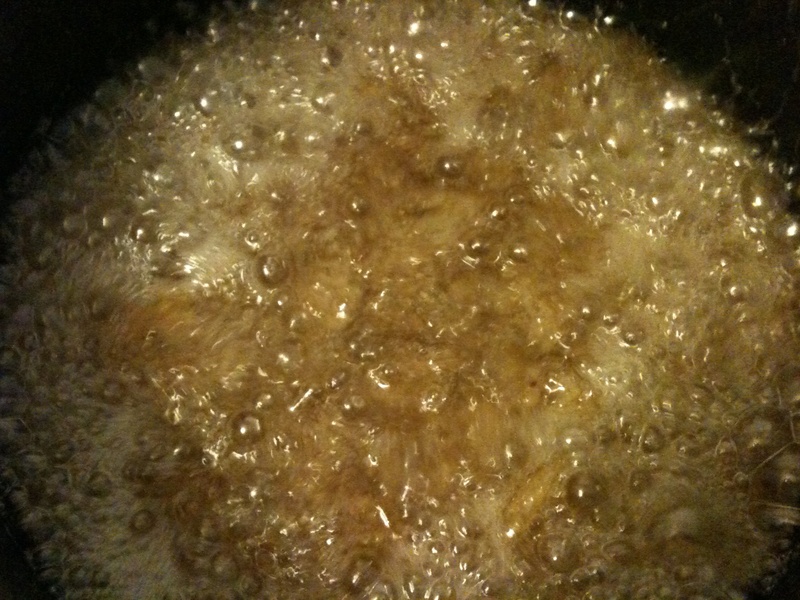 No pectin is needed and it turns a lovely golden brown and gels within 20 minutes at high heat. 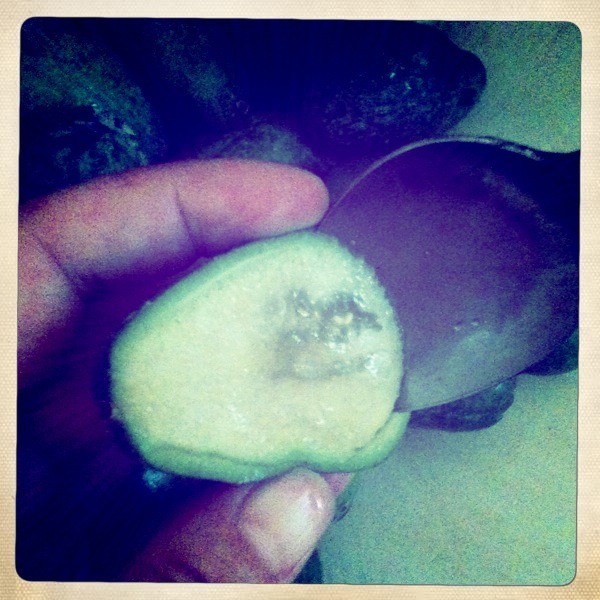 After it gels, ladle it into sterilized jars and process for 10 minutes. It tastes sweet and tangy but not overly sugary. Delicious! 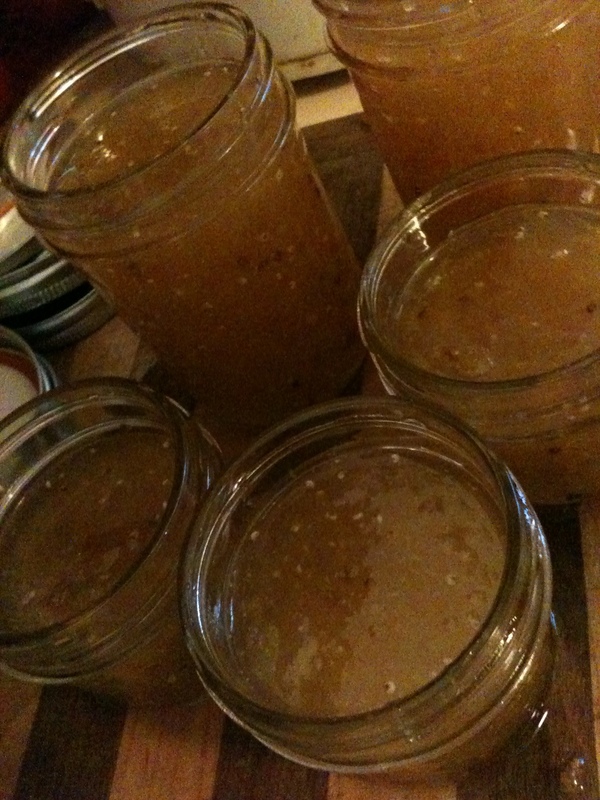 This entry was posted in cooking, food, Uncategorized and tagged feijoa jam, feijoa lemon jam, feijoas, fruit preserves, guavasteen, jam, pineapple guavas. Bookmark the permalink.